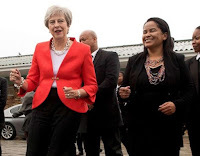 Thursday, August 30, 2018 - This video of UK Prime Minster, Theresa May, showing off her dance moves or lack thereof in South Africa has created a buzz on the internet. The 61-year old joined school kids in Cape Town for a jig as she kicked off her three day visit to Africa that will see her visit Nigeria and Kenya. 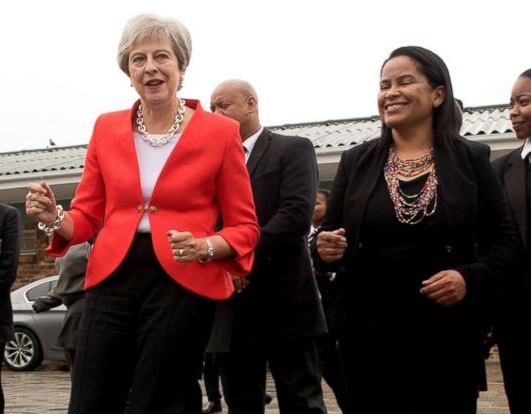 May aims to deepen economic and trade ties with growing African economies ahead of Britain leaving the EU in 2019.